The #1 way to separate flower from the stalk and seed of WHOLE DRY HEMP PLANTS! 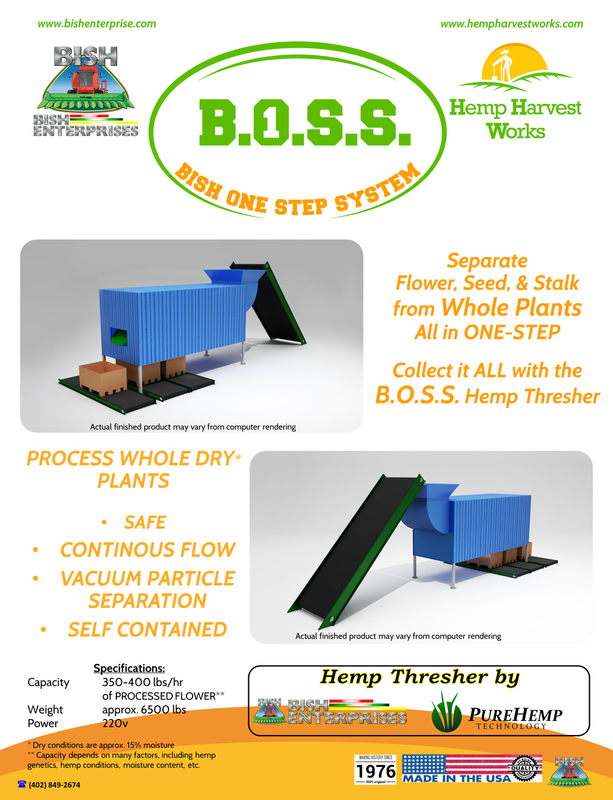 This Hemp Thresher by Bish Enterprises and PureHemp Technology will make processing hemp easier than ever! With a continuous flow conveyor, your production facility can operate 24 hours a day, 7 days a week!